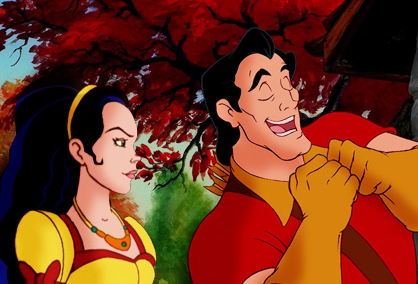 Helena and Gaston. . Wallpaper and background images in the 迪士尼跨界（crossover） club tagged: crossover. They look good together. I will definitely have to check out the show on youtube. I keep hearing about it but haven't seen it yet. This would be a wonderful pairing or sibling!